Layers of 3/4" and 1/4" pine make these Old World Father Christmas projects quick and easy to cut out and paint. Patterns drawn FULL SIZE. #8086 Special includes #W2896 Father Christmas "Pere Noel" (French) Wind Chime Plan, #2060 Special includes #W3039 Father Christmas "Kris Kringle" (German) Wind Chime Plan, #3047 Special includes #W3165 Father Christmas "St. Nicholas" (English) Wind Chime Plan, and #3135 Special includes #W3287 Father Christmas "Sinter Klaas" (Dutch) Wind Chime Plan. 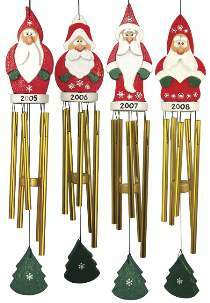 Each Special also includes #1847 Wind Chimes Tube Set and #1547 Wind Chime String.